Your mood is lighter, and so are your clothes. You’re switching out your puffa jacket for your denim moto, your wool blankets for your silk sheets, your thermal undies for your Victoria’s Secret lingerie, and your fleece-lined Uggs for your strappy sandals, and, is it just you, or is that guy from accounting getting better-looking? Spring is in the air and, if you’re thinking about spring cleaning, you should be making your makeup cabinet your first stop. What should you be swapping in and out of your skin routine to get your skin ready for a season of radiance? Read on to find out. Your clothes closet isn’t the only thing that needs special attention in the springtime. When it comes to cosmetics, it’s out with the old and in with the new. Natalie Perger, MD and dermatologist says, “Women should avoid the use of expired skin care products from the year before. This is especially an issue with SPF protection.” Take some time to toss out products with old expiration dates and stock up on new, updated necessities. It’s not surprising that the season of rebirth should require some shedding of dead skin cells. With winter, comes cold air, and with cold air comes flaky, dry skin. 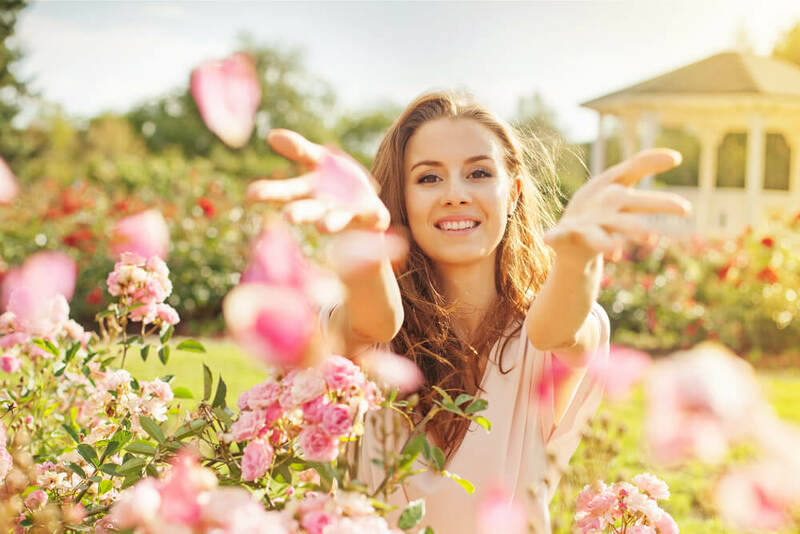 Spring is a great time to slough off the dead skin cells that have accumulated during the winter months. Perger suggests using a face, foot and body scrub twice a week in the spring. Heavy foundations and moisturizers are excellent sources of hydration for the drying winter months, but with the change to warmer weather comes the time to change to lighter formulas, including a lighter moisturizer with extra hydrating benefits. Lighter foundation, primer, and concealer are also recommended to give your skin that extra springtime polish. If you love a good trip to the spa, and who doesn’t, the beginning of spring is the perfect excuse to book one. As Perger wisely puts it: “Since exfoliation is key to having a great complexions and a higher absorption rate for gentler products, booking a natural enzyme peel series with your esthetician is ideal. You will also receive the best prescription for your at home care.” She suggests a visit with the derm every four to six weeks and a monthly facial to get your glow on. How’s your spring skin routine transition going?